Some of the most impressive mural of the Maya is found in the depths of the forest San Bartolo, Guatemala, in 2001. The mural is dated 100 BC. Of course, San Bartolo still have some other findings, but there is too dense jungle. "It is dangerous to walk through the forest to find those sites. Where conditions are very humid and a lot of snakes," said Diane Davis, Honorary Research Associate at the Institute of Archaeology, UCL (London). The woman was already working in the region since the early 2000s. "Look, people can just a 7 or 8 meters from a pyramid in the woods, but could not see it because the vegetation is too thick," said Davies. 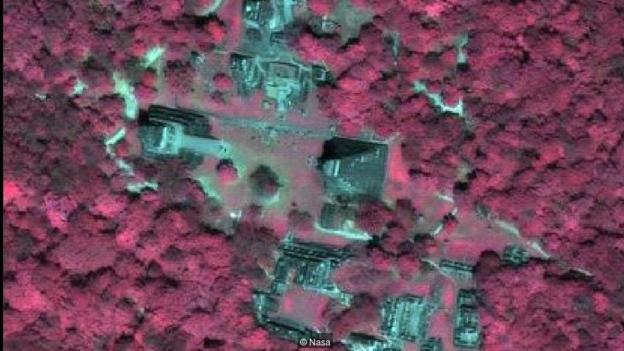 However, by using the satellite imaging, many archaeological sites that were once hidden is now to be found. Davies revealed by the help of a NASA scientist named Thomas Sever. The scientists then managed to recognize all of amazing forms (including the lost Mayan pyramids) based on satellite images. Most of the Mayans buildings were established using limestone, so the chemical composition around the ruins of change over time. It is revealed through multiple images. For the purpose of scanning the areas in around archeological ruins, then used several different wavelengths in the electromagnetic spectrum spans in order to reveal the patterns that exist on the surface, said Geoffrey Braswell of the University of California, San Diego. 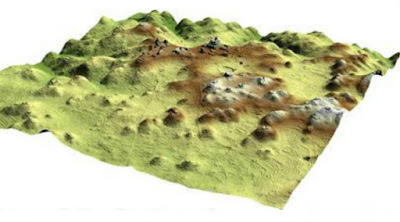 The LiDaR (Light Detection and Ranging) technology can also be used to compile the topography. As the name implies, it uses laser technology. "If we're flying over the forest canopy, mostly radiance will be reflected by the leaves, other objects, and do not reach the ground, but there are some that can pass," said Braswell. "Thus, we can see the unique shapes on the ground." But the use of LiDaR was expensive and for many years, only used by the military. Braswell intend to use it to scan the entire Central American region to see if something is missing from the archaeologists. Until now, it has not been possible. There are still a number of problems. 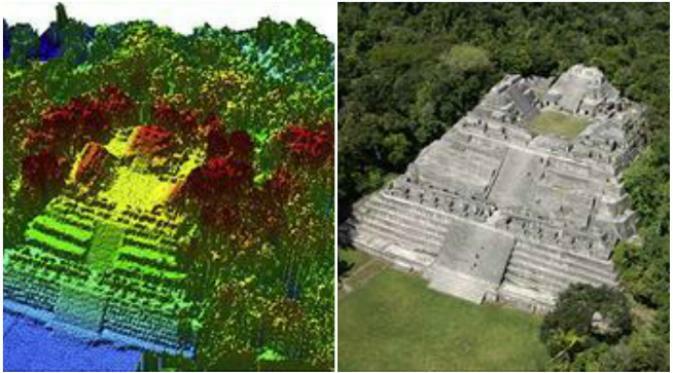 Most of the Maya scholars agree that these sites are detected by remote sensing was still to be ascertained by an expedition on land. The reason, many of the alleged findings turned out to be worthless, for example, only a field and not a building. Alternatively, a man-made objects that are new instead of ancient ruins.